I posted this elsewhere,but though some of you may enjoy it as well. 3. Sutra of the Three Heaps, Confession, Twenty Five Vows, etc. As for the MAIN PRACTICES, here's the list I've condensed from the Manual. I didn't list all the special Monthly tsoks, practices, etc. that were performed....but some days were taken over by these Drupchos, Drupchens, etc. 4. Nigu Cho Druk (Niguma's Six Yogas)-including preliminaries, one week; Tummo-three months;Illusory Body/Clear Light/Dream-3 weeks each;Powa and Bardo -two weeks each. 12. Kalacakra according to Jonang/Vajra Yoga instructions-6 months (2 1/2 months creation phase; three isolations-3 weeks; Withdrawal of senses and mental stability-two months; remaining yogas 10 days each--vitality control, retention, recollection, samadhi. 14.Lama Yangtik-(incl. ngondro, for 3 months; Trekcho-three months; Togal-three months. This includes recitations and mantra accumulations for the Three Roots, and the practices from Vimalay Zabtik). In addition to these, one week at the end of the first year is spent on Shangpa's Lha Shi Dril Drup, or condensed four deities; Chagdrupa for one week at the end of the second year, and Tersar Chagdrupa at the end of the Third year for one week. These week-long individual practices precede the Yearly group protector pujas done for one week at the end of each year, as a group. To end the retreat, One week is spent on Group Practice of White Tara. Kongtrul indicates that, after this three year retreat is done, retreatants should enter retreat again, after a short break, and do KunRig for Six months, followed by ten days of KunRig Jinseks, three months of Akshobya practice, and one month on NamCho Amitabha. Daaammmnnnnnnnn! ( in chris tucker voice ). Hopefully those who engage in that regime have the understanding of the essence of one deity is the same as all others, lol. Covering all your bases with that schedule. Thank you very much for this inspiring post. Is it known how long would one thun take? Was it 3 hours or something like that? In any case a schedule there, in Tsadra, must have been very tight. of course during the breaks it was not only that he cooked and ate, but he also wrote, washed his clothes, prepared ritual objects etc. so there was no time for leisure in his schedule. 4-7 Frst thun, incl. Tara praises, sang, etc. If I'm on a strict group retreat with my fellows--which we haven't done in about 4 years-- then there's a group session before breakfast for Tara, Riwo Sangcho, Vows, etc., and the protector session in the afternoon is also a group session. Is Kongtrul's Retreat Manual available? 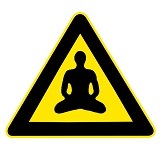 I've looked for it for years gave been told its restricted to Karma Kamtsang 3 year retreatants. What you'd have trouble finding are the actual "Yig Cha" retreat manuals that detail the order of practices, texts, etc.--as far as I know they are not translated into English, though commentaries on some of the practices are available. In my tradition, Kyabje Bokar Rinpoche wrote two manuals--one for Kamtsang, one for Shangpa,-and these are what most Tibetan retreat centers use. They're Tibetan-only, AFAIK. Tsadra helps to publish them, along with a host of other books intended for intensive retreat. Thanks. I have no need or interest in the yicha for the different practices. I've had a brief look at the original version of the Tibetan text in the GyaChen KaDzo--it's about 60 pages of Tibetan. It's not a very long text, actually...based on what I see, the translation is accurate. I cannot say whether it is "complete," or if some things were left out. I haven't read the whole thing, nor do I want to. but I want to point out that "Jamgon Kongtrul's Retreat Manual" is not merely a translation of Kongtrul's text. In fact, most of the book is more detailed info, intros, and background stuff about the contents of Kongtrul's actual writing. So, I don't think anything was really left out of this particular translation. But of course it's not the whole GyaChen KaDzo...that would be...like.......many volumes of books. 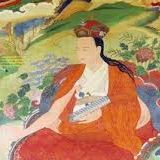 Just Kongtrul's Encyclopedia of Knowledge is Ten volumes in English. The source of that,In Tibetan, SheJa Kun Khyab, is four Tibetan volumes, and GyaChen KaDzo is 13 Tibetan volumes. Also, keep in mind that this text translated, the "Retreat Manual," is not a "complete instructions" text for all the practices to be done. It wasn't meant to be. It's the basic framework, outlining the curriculum, if you will, of Kongtrul's specific retreat plan. It's almost like a "prospectus" as well as general advice for entering and exiting retreat. For each individual practice, the teachers (and students) would have recourse to the Tri texts for the various practices they were engaged in. 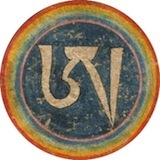 Traditionally, in Kongtrul's time, the Retreat Master would bestow each empowerment and instruction prior to the actual practice, though these days most three year retreats, especially in the West, differ in that all the empowerments are often given up front at the beginning, with detailed instructions (based on the Tris) given as each new practice was encountered. Ngawang Zangpo (Hugh Leslie Thompson) did a great job, I think. My only minor quibble is his decision to translation proper names, esp. of deities, into English. So Kalacakra becomes "Wheel of Time," Cakrasamvara becomes "Wheel of Supreme Bliss," etc. I've bought it second hand for 11€ plus shipping, and for me it was unfortunately a mispurchase (does that word even exist?). It's in good condition, if somebody is interested I'd be happy to give it away for a tenner plus shipping (I'm in Germany). PM me, if interested. First of all, thanks for the inspiration! A question, if I may.. Do you find it useful, in strict retreat, to do all these different practices every day? Have you tried 'just' doing your main practice, with maybe a short protector practice at some point, some wakeup and sleeping methods, and nothing else? My experience is that doing only one thing helps me to really relax into the practice, whereas a schedule of diverse practices makes me stress out a bit. Probably just the result of my mind being such a busy mess, but I'm curious what you and others have experienced. If you want to teach or transmit lineage, this program is important. Some people like variety, as well....and different people have different karmic propensities for certain practices, so covering a lot of bases can be helpful. Not even Jerry Garcia would practice that much! Last edited by smcj on Sun Sep 02, 2018 3:11 am, edited 4 times in total. Does being in retreat reduce your need for sleep? I usually need 7:30 - 8 hours of sleep to not be sleepy throughout the day, most of the long-term retreat schedules I have seen allow for around 6 hours of sleep or lesser. been wondering same thing as i got similar problem. i dunno if i have a condition like hypersomnia but i have troubles to properly awake in a morning if i don't sleep enough, and that's 8 hours minimum. when doing ngöndro i was trying to sleep 7 hours and woke up at 5am, but then middleway first session i became so sleepy it was malaise. like i've been drugged or something.. i'd call it "sleep attack" because my brain was shutting down accompanied with vertigo. after 2-3 hour session i had to lay down to get a short 15-20 mins sleep. ever since i've been wondering how they sleep so little? do they fight extreme sleepiness or they just get enough sleep in 4-5 hours? Yup, you are definitely a geek! Needless to say that I am jealous of the capacity of anybody that can pull that off on a daily basis!